Meet Mary McDonald-Lewis the voice of Lady Jaye in G.I. Joe for her first ever Canadian appearance. 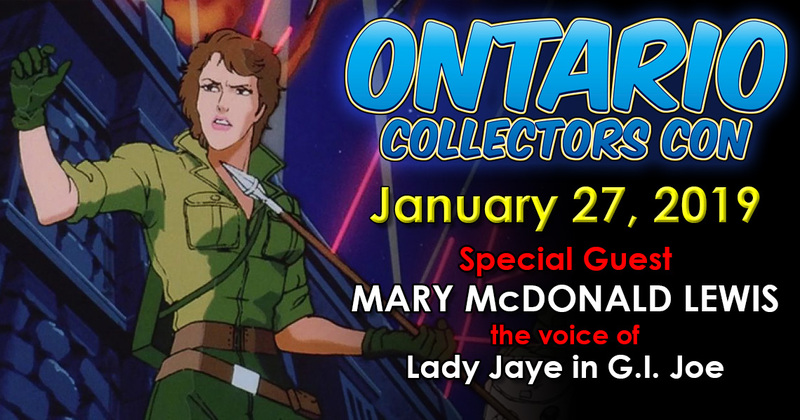 Mary McDonald-Lewis will be available for autographs and photos all day Sunday, January 27th at Ontario Collectors Con 2019 taking place at the Hilton Mississauga/Meadowvale. 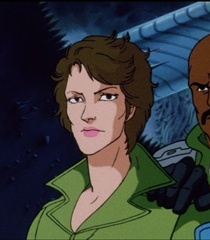 Meet Mary McDonald Lewis the voice of Lady Jaye in G.I. Joe at Ontario Collectors Con 2019 for her first ever Canadian appearance. i wish I could attend. in case you didnt know. the guy who played the voice of storm shadow and dr mindbender will be at Sacramento Toy con this year coming up March 10th 2019. Ill post the link for you if you want. Just feel like sharing this - if anybody is in the area and thinking of going, Mary is the. nicest. person. ever. I (and many others) met her at JoeCon a couple of years ago; and she and Bill Ratner (voice of Flint) walked the show floor for a long time, taking every photo, signing every request, chatting with fans.... I know lots of people appreciated how generous she was with her time.